On March 3, the news of Ebrahim Raisi’s appointment as the Chief Justice deeply shocked the Iranian community. Of course, the regime unveiled this appointment gradually to avoid social wrath. This reveals that Khamenei, the regime’s Supreme Leader, well knows how obnoxious, the Iranians hold Raisi, massacre’s henchman. But there was another reason for Khamenei’s delayed announcement of Raisi’s appointment. Therefore, the appointment of Raisi, massacre’s henchman as the regime’s Chief Justice reveals two facts. Firstly; the only path to survival that this regime knows is suppression; thousands of executions is a witness to that. And secondly, by appointing this henchman, Khamenei reveals his fear of his arch-enemy whose members and supporters formed the majority of the victims of the 1988 massacre; the MEK. The one whose resistance units are leading the protests towards the regime’s overthrow and are attacking the regime’s icons on a daily basis. Since all Dictators, make irreparable mistakes at the end of their time, Khamenei imagines that his regime is able to rein the volcanic situation of the society by appointing one of the most savage mullahs as Chief Judge. But contrary to this image, not only Raisi’s appointment won’t bring stability for the regime, but also it will turn into a preface for its international accountability in regard with its horrible situation of human rights, including the 1988 massacre. “In looking to install a bloodthirsty goon, Khamenei seeks to hide the regime’s weakness in the face of the arisen people of Iran. But he will fail,” Mrs. Maryam Rajavi added. In addition, it should not be forgotten that two years ago, when the ‘Call for Justice’ movement was launched by Mrs. Maryam Rajavi’s initiative, it was thoroughly welcomed by the families of the 1988 massacre’s victims, and universal institutions such as the Amnesty International, the U.S. House of Representatives, and etc. 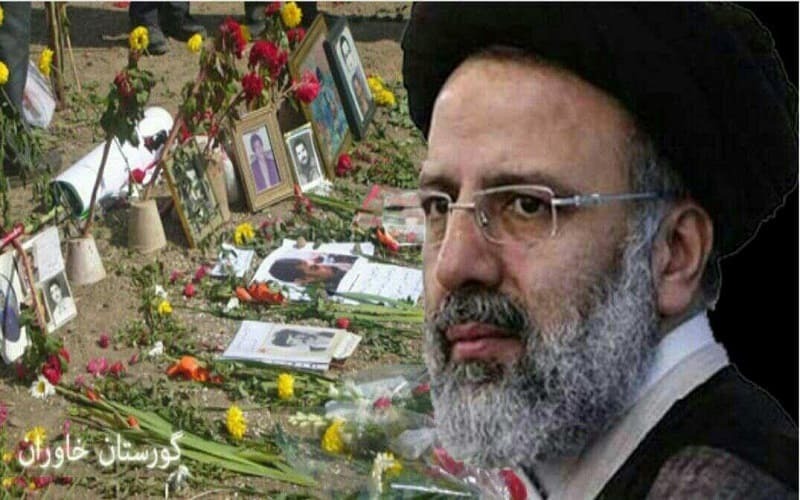 Undoubtedly, concurrent with surging uprisings and the activities of the resistance units (PMOI/MEK supporters inside Iran, not only the appointment of Ebrahim Raisi, massacre’s henchman, is unable to solve the regime’s impasses but also it will become a source of inspiration for the Iranians’ Call for Justice movement. The movement that follows justice for all of the victims of this murderous regime’s over 40 years.